Lenovo introduces again an exceptional Smartphone hand-set for its valued customers throughout the World. 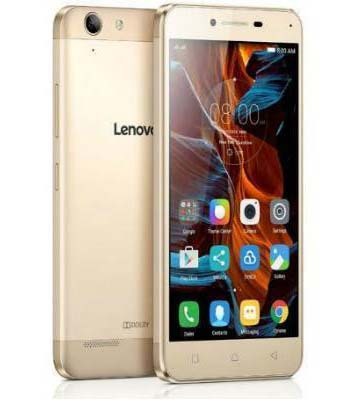 The name of newly launched Smartphone is Lenovo K5 Plus and it provides phenomenal latest Smartphone features along with unique technologies. Lenovo is reliable wireless cellular provider of the Globe and it always designs hand-set along with reliable incentives. It is also giving amazing feature in this newly launched cellular phone of its buyers. Android Lollipop system is attached in this hand-set with fastest Quad-Core processor system. It has included 2 GB RAM feature along with 16 GB built-in memory system. It is also giving dual SIM option for using two SIMS connections on a same time. It has designed stylish and colorful display screen option with 1080 x 1920 display pixels. The body shape of this hand-set is also very attractive and it has given shining body color of this Smartphone. 3G and 4G internet usage facilities are also available in this cellular phone and it also gives regular Smartphone incentives in this hand-set such as Bluetooth, GPRS, WI-FI, WI-FI Hotspot, WLAN and many other more. Lenovo has created excellent quality camera option in this mobile phone and users can capture unlimited pictures by using 13 mega pixels rear and 5 mega pixels front camera option. It is also providing touch-focus, video recording and many other camera options in this hand-set. The complete specification details of this Smartphone are given as below. System: Android OS, v5.1 Lollipop. Processor: Quad-Core 1.5 GHz Cortex A-53, 1.2 GHz Quad-Core Cortex A-53, Qualcomm MSM8939v2 Snapdragon 616. Front Camera: 5.0 Mega Pixels (LED-Flash). Display Colors: 16M Colors and IPS capacitive display touchscreen. Bluetooth 4.1 with A2DP, Micro USB v2.0, WLAN, GPRS, EDGE, WI-FI and WI-FI HOTSPOT. Audio: FM Radio, MP3, MP4 and 3.5mm audio jack. Other Features: Multi-touch display option, GPS Support, A-GPS Support, Document Viewer, Speaker-phone, Dual-Stand by, Dual-LED Flash Camera and Calendar. Latest Features: SNS integration, Active noise voice cancellation via MIC, Photo/Video Editor, Google Search, External memory SD card up to 32 Lenovo Vibe K5 PlusGB and Proximity Sensor.